World-class professional coffee education, roastery, mobile coffee bar and event services, retail and consultancy. Barista skills, brewing, roasting and more. Play barista for a day, create your own concoctions in our Signature Drink Competition and more! Events, team bonding experiences, pantry services and corporate gifting. Be the first to hear about our social initiatives, courses/masterclasses and community events. We respect your privacy and do not spam. We typically send emails only 1-2 times a month. Almost done...please check your email for a clickable link to confirm your subscription to our mailing list. Thank you! In 2015, Bettr Barista became Singapore's first Certified B Corporation, joining the ranks of over 2,600 B Corps across more than 150 industries and 60 countries, that are unified by one common goal: to redefine success in business. We've been a Best For The World (Community) Honouree in 2016, 2017 and 2018, putting us in the top 10 percent of all B Corps on the Community portion of our B Impact Assessment - which evaluates a company’s supplier relations, diversity, involvement in the local community, and our practices and policies around the social issues that we work every day to help solve. 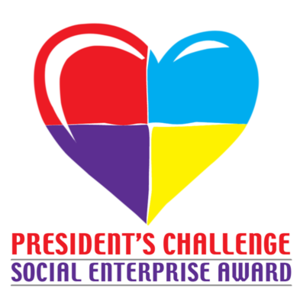 We’re also very proud to have won the 2017 President’s Challenge Social Enterprise Of The Year award, having bagged the Social Enterprise Start-Up Of The Year award in 2013.